President Obama will be naming Aneesh Paul Chopra as his choice for CTO during tomorrow’s weekly address, as first reported by the Washington Post and confirmed in this press release posted to the White House’s official web site. Chopra currently serves as Virginia’s Secretary of Technology, and has previous acted as the Managing Director for the Advisory Board Company, where he advised executives on health care operations. 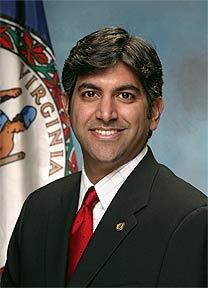 According to Virginia’s state website, Chopra was recently recognized by Government Technology Magazine’s for excellent ‘use of technology to improve government’, and he was awarded Healthcare Information and Management Systems Society’s 2007 State Leadership Advocacy Award. The choice comes after months of speculation, during which many of Silicon Valley’s most prominent figures, including Steve Ballmer, Jeff Bezos, Bill Gates, and Eric Schmidt (among many others) were named as possible candidates. Whether or not some of these people actually wanted the position is another story, but obviously President Obama chose a different route. According to this article published in the Washington Post in 2005, Chopra was not a career technologist before he became Virginia’s Secretary of Technology, but he has extensive experience in policy making. He also co-created a venture fund called Avatar Capital, which invested $11 million in 18 companies (though these figures are likely dated). While he may not be a lifelong coder, Chopra has previously stated that his “primary understanding is from customer need, not bits and bytes”. During his time as Virginia’s SoT, he drove the state’s partnership with Google to become sitemap compliant, and also partnered with Cox and Comcast to broadcast free GED classes to Virginian citizens. According to President Obama’s upcoming remarks, Chopra will “help achieve our most urgent priorities – from creating jobs and reducing health care costs to keeping our nation secure. He will work closely with Chief Performance Officer Jeffrey Zients (also being named tomorrow) and recently-named CIO Vivek Kundra. For another perspective on the news, check out Tim O’Reilly’s post Why Aneesh Chopra is a Great Choice for Federal CTO.